Even minor symptoms like an annoying cough or a slight fever can prevent us from performing at our best. In addition, these irritating illnesses tend to linger... until they eventually wear us down and take toll on our immune system and energy levels. 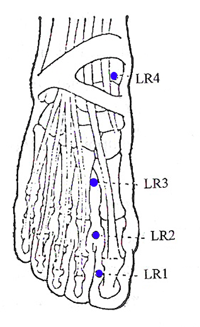 By using Acupressure we can keep our immune system to become strong enough to fight off 'invaders' (cold and flu symptoms, infections, etc...) before they ever get a chance to do any harm. In Chinese medicine, health and immune system depend on proper balance and flow of Qi. Qi nourishes and sustains the body and without a balanced qi, we lose vital energy. This is an open door to illness. 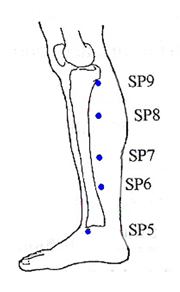 Work the points listed below, using sustained pressure on points that feel too empty or alternating pressure on points that feel too full. Work each point for 1-3 minutes. Use bilateral holds on KI3, LR3, and SP6. Press each one in turn and repeat until soreness is reduced or you have an overall sense of flow. Repeat at least three times. Use bilateral holds on ST36 and KI27. Alternate pressure between these two points for three rotations. 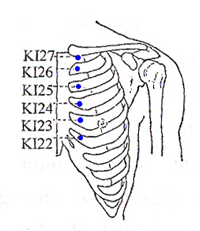 Alternately press LI11 on both arms. End by pressing CV17 for 3 minutes. To end the session, lie down quietly and give yourself the time to allow the qi to balance through your system.